On-page SEO aims to optimize the content (editorial, images, etc.) of your website to represent your chosen keywords that are related to your activity in the best possible way. It also provides good guidelines for an overall user friendly website. The On-page optimization represents a big part of Google’s organic ranking factors on their result pages (around 30%) and should thus be carefully planned. On-page SEO optimization refers to both the content and the HTML code of a webpage that can be optimized. This is opposed to the off-page SEO which is related to incoming links pointing at your pages and other external signals. How can we help improving your On-Page SEO? Our team of experts and always up to date with the latest trends and best practices regarding on-page SEO optimization and will help you understand and give all the necessary support for your site to be highly optimized and targeted for the relevant keywords you are trying to rank for. Page titles, description, hierarchical HTML tags (H1, H2, H3), emphasis HTML tags (Strong). Title and Alternative text on Images. Internal website linking and their anchor text. Integration and interaction with social medias. Outbound linking to authority websites relevant to the editorial content. Blog creation – Based on your main activities/services, we will be providing to your users (and/or customers) great and unique content integrating some additional information, insights, facts and feedback of great value replying to their needs and interests. Why is On-Page SEO so important for your website? In addition to creating a valuable and useful content for your target audience, we will help the Search Engines to understand your pages by optimising them. Here are the main advantages in having a great On-Page SEO done on our site and why is it necessary. 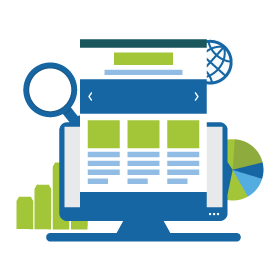 On-page optimization is not all about search engines! We are taking into great consideration the user experience browsing your site. We are optimizing the flow, the site structure and content organization. Since the major Google algorithm update ("Mobilegeddon") it is imperative for a website to be mobile friendly. This means that text, images, speed and all content of a website must be optimized for mobile user browsing! On-page SEO is aimming to optimize the content and code of your website in order to achieve better ranking. The search engines will be able to "read" and "understand" better your site is order to place it well in their result pages. Despite the predominant importance of Off-Page SEO and Link Building profile in the ranking factors of the search engines, On-Page SEO is still a relevant factor and is always necessary to achieve the best positions in the SERP and in any successful SEO strategy. Tell us about your On-Page SEO requirements! We are here to help you with your doubts and give you all the necessary support regarding on-page SEO optimization strategy for your to reach your business goals and finally rank on your targeted keywords!